Details of other competitive exams, including success/failures Cleared various written examinations of RPSC,UPSC,SSC etc. Details of coaching, mock tests, postal material for any competitive exam (if used) Wrote some test series and few mocks at different platforms. Post-graduation M.A. (HINDI LITERATURE) FROM JNU , NEW DELHI. Any other professional courses RSCIT (COMPUTER COURSE ) FROM RKCL , GOVT. OF RAJASTHAN. I am GANGA SINGH. I come from BARMER (RAJ.) , a district located at the heart of GREAT INDIAN DESERT. I have done my initial education at my village and topped the school in 10th standard. During that time my school teachers approached my parents and advised them that I should pursue science stream for further studies. I completed 12th from Jalore and again topped the school with 6th position in the district. 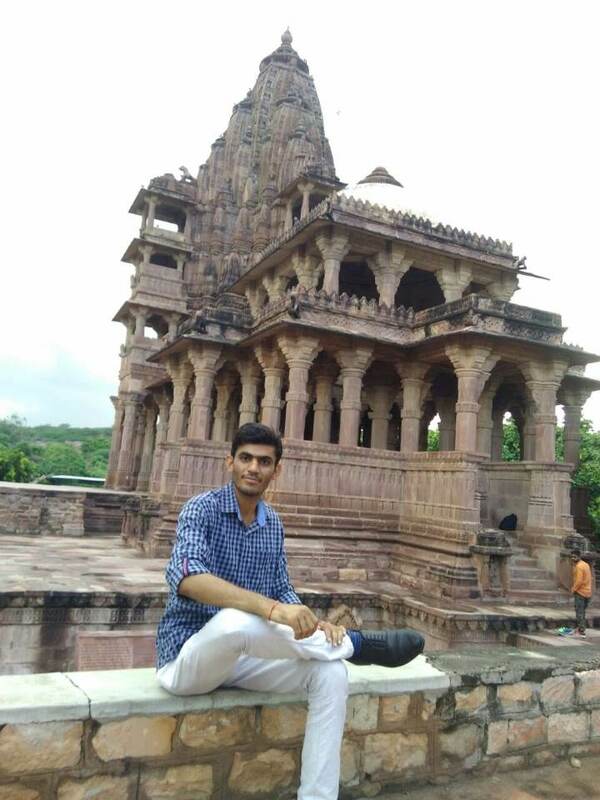 After that I came Jodhpur for B.Sc and it was this place from where my real journey started. During graduation days my parents (specially my grandfather) motivated me to choose civil services as a career option. During B.Sc final year I started reading NCERT books and followed the interviews of Civil Services toppers in Pratiyogita Darpan. By the final year of my graduation I was fully aware that I must follow the Civil Services as it would provide me comprehensive platform to render my efforts. One of the other reasons for joining this arena is that I have very much inspired by the good civil servants in this field. So, this was the reason that I pursued the Civil Services. Mostly I was dependent on paper material because there is a limited , authentic and updated material available in HINDI medium. Although I am a regular follower of mrunal.org .Mainly my optional subject was very static so electronic way has limited scope to follow. I’m very keen of underlining the books again and again. Hence, I mostly (95%) followed paper materials. Daily hrs spent on online for exam prep. Need base. I usually made short notes of my optional subject . It was just synopsis-type.We should try to make notes only of the complicated topics. I revised more and more so that I could able to memorise the things. There are multifarious benefits of notes making such as easy to revise materials during examination periods, it helps in improving speed and handwriting. This is the reason I prepared short and hand notes of my materials. Science (theory + current) Notes of Spring Board coaching classes , vision ias current affairs magazine. I think candidates should avoid HARD MENTALITY. There is no any thumb rule behind this. I will follow current affairs thoroughly and regularly. I will revise all relevant NCERT books again and again. I will practice more mock question papers. Reasoning Previous years question papers. Comprehension Previous years question papers. Decision Making Previous years question papers. Read the whole passage twice and answer , don’t use your extra mind. If there is written that Agra is the capital of India and it is located at the bank of Sindhu river than accept it , there is no need to correct passage information. Answer on the ground of the passage information only, not beyond this. Try to attempt those questions which you have maximum clarity. Try to maintain the confidence level even though you are unable to solve the starting questions. Have patience and try to apply your rationality utmost. Try to make a balance among mathematics, logical reasoning, and comprehension. Don’t leave any section blank entirely. Yes. I have solved around twenty mock test. It is not as effective but essential. At least one test series should be done by a candidate. I did practice 6-7 essays. I prepared a diary for collecting short-poems, short-stories, quotations , prerak-prasang, recent examples etc. to use in essay. Seniors and classmates at JNU helped me a lot to improve my writing skills. If development is not engendered, it is endangered. Cyberspace and Internet: Blessing or curse to the human civilization in the long run? Culture I read some books for this section e.g; RS SHARMA , NITIN SINGHANIYA , NEW NCERTs of CLASS 6,7,8,12.
world history NCERT OLD , Drishti Notes. world geo physical NCERT OLD AND NEW BOTH OF CLASS 6 TO 12.
comparing Constitution with world Not prepared well , I collected information about the constitutions of UK, USA and INDIA. India & neighbors VISION IAS current affairs , Dainik jagaran Rashtriya sanskaran. Indian economy, resource mobilization Ncert class 11 ,mrunal.org , Rameshwar sir class notes. farm subsidies, MSP Eco survey. PDS, buffer, food security Ncert class 11 ,mrunal.org , Rameshwar sir class notes. science-tech day to day life Vision IAS current affairs. I didn’t prepare junk. Disaster Management TMH Book by Ashok Kumar and Vipul. ethics and interface, family, society and all the hathodaa topics 2nd ARC Report on Ethics in governance, ABHAY KUMAR SIR CLASS NOTES. moral thinkers of India and world NCERTs OF POLITICAL SCIENCE. ethics in pub.ad, accountability, laws, rules etc. 2nd ARC Report on Ethics in governance, ABHAY KUMAR SIR CLASS NOTES. case studies on above topics ONLY VISION IAS TEST SERIES PAPERS ARE MORE THAN SUFFICIENT. Q. In ethics, they’re asking random definition and concepts out of the book. Most of the serious candidates (both topper and non-toppers) have received marks in similar ranges. What are your observations and tips for future aspirants regarding preparation of this paper? Use daily life examples in your answers to verify itself. If there is any scope of use diagrams, flow-charts, maps, recent examples ; than use it properly and maximise your marks. Keep in mind the fundamentals of INDIAN CONSTITUTION. The theme of answer should be reflect the values of PREAMBLE of our constitution. I wrote all answers because it is my thinking that it is better to answer all question rather than attempting least questions with adequate substance. There is sufficient space to write the answers. My response was mixed. Sometime I wrote in bullet points and sometimes in paragraph.your response should be base on the structure of the question if there is a analytical question then write it in paragraphs and if you have any factual question then write in bullet points. Generally I followed “introduction-body-conclusion” structure. But it is not possible in each and every question. Q6. Did you draw any diagram in any paper? (e.g. in GS1 Geography) Yes I drew many diagrams. I used 5-6 diagrams , maps, flow charts etc. Q8. Did you use ruler to draw the lines in diagram? Or did you just make it by hand? By hand. Q9. You wrote the answer in blue pen or black pen? Blue pen. My optional subject is HINDI LITERATURE. I’m pursuing M.A.in this subject from JNU, so it was very easy to handle it. All optional subjects are good. Material availability and your interest in that subject should be the grounds to choose any optional subject. I would advice him/her to go with it as it is very interesting, short and scoring subject. For this anybody can reach at my facebook wall , here is link. I have already uploaded a complete strategy for Hindi Literature. Hindi literature is very static subject , there is no use of internet to study it as number of reliable books are available. Yes , some videos on IGNOU platform are quite good. Just around 3-4 months only. I started answer writing practice just after prelims exam. I wrote 10 tests for optional subject. I usually preferred to make hand notes and it was in paper format. Q. Your observation about the difficultly level of 2016 mains vs previous papers. And what precautions / rectifications are necessary in the future strategy for given optional subject? There was not much difference between them. Regardless of any particular strategy a candidate should follow there whole syllabus. Mostly, I followed group studies in JNU especially with my senior fellow and classmates. I prepared DAF thoroughly and prepared current affairs properly. I attended some mock interviews in different coaching institutes out of them some were really good. Though, the UPSC and the coaching institutes interviews were completely different, but a candidate should go for at least one or two mock interviews. I stayed at my Kaveri hostel, JNU. I wore light blue shirt, dark black pant and tie. It was around 25 minutes. Interview board didn’t ask this question. But if they had asked , I will reply in very practical way . I come from rural background, I have been observing the working style of civil servants around my area , they can work at wide platform, they have adequate resources to change the adverse scenario. in this service, there are many things to learn for good career. That’s why I would like to join civil services. I had reached at UPSC building with my classmates from JNU. There were many candidates to be interviewed. In our group , I was second one to go. My interview was started just around 3 pm, it was the board of Mr. Chhatar singh ji. As I entered in the hall before the board , all chairperson welcomed me and asked to have a seat. 2. So , Mr. GANGA SINGH you did B.Sc from jodhpur in 2014 , good ,you performed well .I think you should continue your field , why not applied for further studies ? Me — Sir, now a days, I am pursuing M.A. in Hindi literature from JNU, New Delhi. 3. You stay at hostel , what kind of problems generally face by students there ? If you are warden , than how will you short out ? 4. Which tourists sites around jodhpur are most popular around jodhpur ? Me — sir, there are many popular tourist places such as Umaid palace , Mehran Garh fort , Sun Temple at Osian etc. 5. What is the distance from Jodhpur to Barmer ? 6. What are the sources of income in your district ? Me — sir Agriculture , Animal husbandry are main sources of income in our area. Yes, some people are performing well at cities in service sector. What is the population of your Gram Panchayat ? Me — Madam , it is just around 5500 people. 2. From where u inspired to become an IAS officer ? Me — madam, in our area some district collectors performed very well at wide platform. Than I thought I should try for it , if would get through, it will be better to assist people directly at comprehensively by me. 3. How you qualified Mains exam in very young age ? Me- I have topped the class from my schooling to college , so I thought if I prepare well with great enthusiasm than I can get it. Proper guidance , availability of adequate study material , proper time management and positivistic approach, positive environment at JNU Library ,richness of friend circle etc. made me easy to qualify it at very young age still in Hindi medium. 4. What are the differences of the people and environment of JNVU Jodhpur and JNU New Delhi ? Me- at both place , people are committed to their duties. Ya, JNU is comparatively more politically vibrant campus. 5.For which handicrafts are famous globally from Barmer ? Me — There are various wood and textile handicrafts , such as AJRAKH PRINT, Wood made toys etc. How RBI control money circulation in market ? Me — there are various qualitative and quantitate approaches. For this RBI follows accordingly. What is measurement of Bigha , acre, hq, ? What is the present situation of Indian economy ? Is it performing well ? Me- sir, Indian economy is performing at an average level. Its not so good or bad but mixed. There are many challenges towards it but some positive things ( biggest market, demographic dividend etc.) are here to combat adverse conditions. If you would be like to travel from Sri nagar to Kanyakumari than which states fall in this way of journey? Me — sir , I think govt is not only considering this river but also focusing on other rivers under Intergrated river development programme , yes , somewhere govt is focusing because Ganga is well connected with religious aspect and also its basin covers 40 % of the productive land area. 3. From your Barmer district many people use to join the Army , than why you have not ? Me — sir, from my village last year 2-3 students recruited for Indian Army . I also have tried through NDA,CDS,AFCAT but I couldn’t get through . If you will get IFS than where you want to serve first. Me- sir, Africa continent . 2. No, In neighbouring countries where you want to serve ? Me — sir , Pakistan. 3. Did you heared about racism in Africa , America and recently some incidents in India like bangalore , noida ? Is there any relativity in these incidents and what you know about this phenomena ? Lets Ganga Singh tell me is really this type of mentality ( related to previous member’s last question ) is present in Indian Society or in Indian culture ? Me — yes sir , absolutely this type of mentality is present. 2. Chairperson intervened and said how you can say this ? In India there is Democracy and our Indian constitution gives rights like Equality,Freedom ? Me – sir, these all things are idealistic , but in reality the discrimination of colour ( kale and gore ka bhed ) is exist in our society . 3. How can you say so ? Me — sir , there are many examples which are present in our society even today as examples I can present them in front of the board . 4. So tell them ? Chairman intervened and on this moment he was looking totally convinced. Chairman ; thank you Ganga Singh . Me — thanked every member. Maximum questions were as per expected but some were very factual and unexpected. There was no issue of stress or un-comfortability on my face . The board was very cordial and supportive. No problem , UPSC staffs were very supportive. Get up in the early morning and be punctual. Your attire should be casual (lower, T-Shirt and sleepers). I would keep continue with other competitive examinations but I was totally committed towards UPSC. Your background is not the criteria for your success. Belief in what you have and transform that thing into a productive matter. Candidates from all background are gaining success in the UPSC examination. For this, I followed CREATIVE DAILY SCHEDULE. Discussion with friends at JNU and participation in seminars and conferences in the campus , in this way, I kept myself motivated. There is no any alternative of Hardwork. Recognize your internal power, belief in yourself and be positive. Q. Many hardworking candidates have failed in Mains/Interview of CSE-2016 and scored quite low in Prelims-2017. They’re feeling cynical, hopeless and depressed- what is your message to them? Mast rho vyast rho. Be positive and continue your journey , next time it will be your fingers here to type a message for beginners.when I failed in first mains than I thought apna bhi Samay aayega. Credit of my success goes to my parents, teachers of JNVU and JNU and friends from Dandali (my village name ) to Delhi. mrunal.org is a very good platform for those candidates who don’t afford coaching and are from remote areas. I have been following this site since my graduation days. Specially reading topper’s interview was my source of motivation. Success stories of people like Ganga Singh from rural background who have completed their school days in Hindi medium is big inspiration. Interview with him has high potential for average students who are studying in local language medium schools. it is simply good Interview and strategy. ………….. Thanks for sharing the interview. This will surely help people who are preparing for the competitive exams. I, jitesh Kumar Tandi from Balangir district in odisha. 1- Sir mai UPSC ki teyari (Hindi medium) se Karna chahta hu. 2-eskeliye NCERT ke sare books and (the Hindu news paper) Hindi me uplabdh he Ki nai. Sir which newspaper i will have to read because I am a hindi medium student,or any website for current affairs?sir I should go to library for study or do study at home?